Writer-director Alexander Payne has a likely Oscar-contender on his hands with The Descendants, his first movie since 2004’s Sideways. We shouldn’t expect another seven-year absence from Payne since he’s gearing up for an April start date on his next movie, Nebraska. The film will shoot in black-and-white and is searching for a respected veteran actor to play the lead role of an aging alcoholic father. Empire reports that Payne is already planning his follow-up to Nebraska by adapting Daniel Clowes‘ graphic novel, Wilson. We reported last year that Fox Searchlight had acquired the book as a directing vehicle for Payne. The movie follows “a middle-aged misanthrope who’s left floundering after the death of his father and tries to reconnect with his ex-wife and the teenager daughter he’s never known.” Clowes (Ghost World) wrote the screenplay and the movie will be set in Oakland, California. 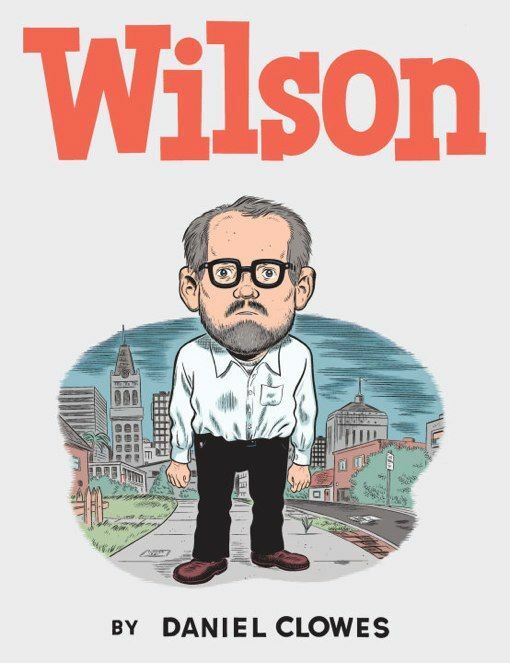 Hit the jump for a synopsis of Wilson. I haven’t read the book yet, but I’m interested to see anything Payne does. The Descendants opens in limited release on November 16th. Meet Wilson, an opinionated middle-aged loner who loves his dog and quite possibly no one else. In an ongoing quest to find human connection, he badgers friend and stranger alike into a series of one-sided conversations, punctuating his own lofty discussions with a brutally honest, self-negating sense of humor. After his father dies, Wilson, now irrevocably alone, sets out to find his ex-wife with the hope of rekindling their long-dead relationship, and discovers he has a teenage daughter, born after the marriage ended and given up for adoption.Wilson eventually forces all three to reconnect as a family—a doomed mission that will surely, inevitably backfire.